Blogging is a great way for genealogists to share information with family members, potential cousins and each other. For which blog are you most thankful? Is it one of the earliest blogs you read, or a current one? What is special about the blog and why should others read it? Great question, Amy! Only problem is, I read a lot of great blogs, and picking just one is too hard. 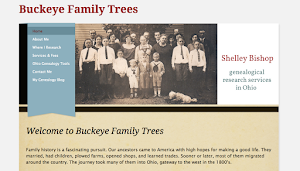 Among them is Amy’s own blog, We Tree Genealogy, which I took a closer look at in a post last August. I subscribe to over 130 blogs in my Google Reader account, and I enjoy every one of them. Some blogs teach me about records or resources; some encourage me to write; some give interesting accounts of their own family history searches and stories; some tell me how to use technology; some deliver announcements; some alert me to webinars and conferences; some comment on recent developments; some help me learn to be a better genealogist; some foster connections with other family historians; some make me laugh—and a great many do a combination of those things. Blogs provide a pipeline into the heart of the genealogical community. What we’re thinking, what we’re discovering, what we’re doing. They lead me to books, journals, websites, events, webinars, and social media. Blogs connect me with people I’ve never met but share a common passion with. In the virtual community, geneabloggers share triumphs, hardships, goals, and ideas. They explain processes and offer each other support. And this leads to real friendships. 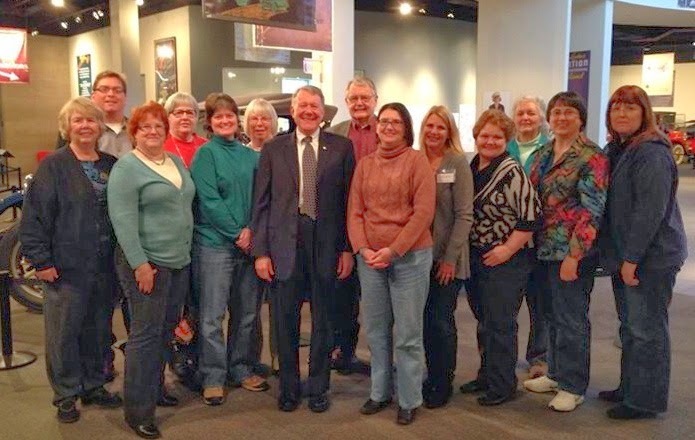 When I attended the FGS conference in Springfield, I met people who seemed like old friends within hours because I knew them from their blogs. And an active group of bloggers in Central Ohio are planning to meet in person after becoming acquainted online. If you're new to following blogs, I encourage you to try some that interest you. Most blogs have a subscribe button and/or a place where you can enter your email address. If you're already reading a number of genealogy blogs, I'd be interested to know what you look for in a blog. What attracts you to read and subscribe? What kinds of posts do you like best? And if you're a fellow blogger, thank you for being part of this great community. You're welcome to leave a link to your blog in the comments. Happy reading, all! Thank you for the mention! I hope you enjoy the Abundant Genealogy series.